Successful Resumes Sydney CBD writes highly readable, succinct resumes that get to the point. We know employers are short on time, so we craft your experience concisely so the reader can reach a positive opinion quickly. Our resumes are designed to make a visual impact using keyword rich text and a modern, system friendly layout; we make sure our resumes are formatted to make their way into the hands of a decision maker. Importantly, as previous employers ourselves, we know that when it comes to selecting the right candidate for a role, it’s not just about skills and experience. Your suitability for a job also comes down to your fit for their team and their company. That’s why we are proud to be part of the Successful Resumes Group who share our value of working collaboratively with you to find out who you are and what you have to offer beyond your previous job descriptions. We believe in your potential, so we make sure we capture your essence and your value, so the reader does too. With a passion and enthusiasm for helping people navigate a journey to success, Samantha has worked across corporate, not-for-profit and government sectors to create better outcomes. 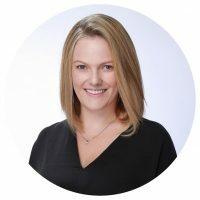 With expertise in management, finance and business development, Samantha specialises in working across the APAC region to support clients identify their next opportunity or transition to Board placements. Her professional resumes are written as strategic documents that capture your skills, talents and expertise in an easy to read, concise format. She works collaboratively with you to create a document that showcases your unique career history, demonstrates what you can bring to a role, focuses on your accomplishments and captures the attention of recruiters and employers. Samantha has worked with some of the region’s senior leaders, across a variety of industries including finance, advertising, sales, manufacturing, supply chain management, transportation and logistics, education, technology and general management. For every client, Samantha’s goal is the same; to write a document that gets you the job you want. 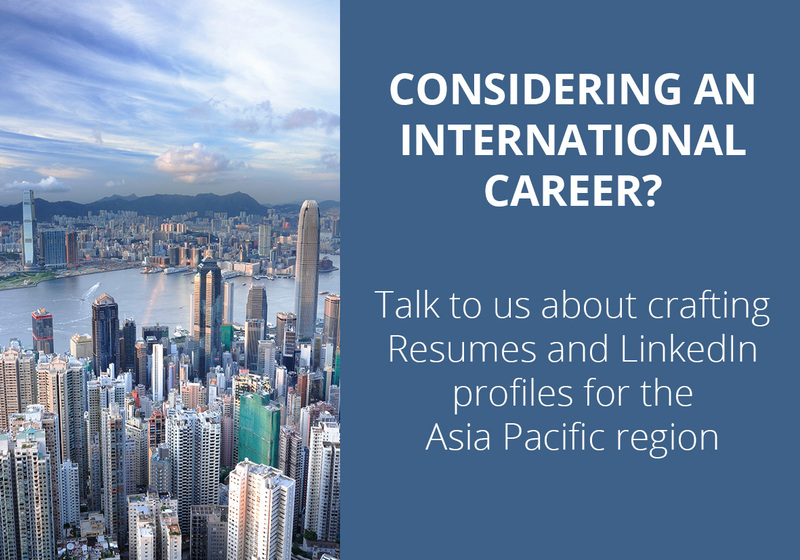 As the CEO of Successful Resumes Australia and the founder of Successful Resumes Hong Kong, Samantha offers her clients an international perspective and an executive ready document that positions them for success. Samantha works with clients via video conference. She likes to spend an hour to get to know you, your work history, your achievements and where you want to go in the future so that she can write a resume that reflects you. After this meeting, Samantha will have a draft document to you within ten working days. You will continue to work via email to refine and finalise your new resume. Samantha I am very happy to come across you as my writer! I do not think anyone could have written it better. Thank you very much. I will keep you posted with my future development. I got the job! The gallery phone today and I start next week. Thank you!!! The interview training really helped improve my confidence and now i have the job I’ve always wanted! Just wanted to let you know I got the interview! Thank you so much for your help with my resume. I really feel good about it now. Thank you also for creating a document that is so user friendly, I can even update it in the future! The headhunter has just called to tell me the resume you wrote is one of the best she has seen and that she is putting me forward for a couple of key roles. Thank you so much for your help. I’m grateful to [friend] for sharing his secret weapon and putting me in touch with you! Thank you for taking care of my personal resume in such a prompt and professional manner. All I can say is you do fantastic work and know how to bring out the best! The group I am working with in Hong Kong and China reviewed my resume and said they admire the format and content. It is a pleasure to have met you and I sincerely thank you for a job well done. Keep up the excellent work. I was in the market for a new role and was speaking to friend who said don’t do anything until you’ve seen Samantha. I understand now why. My new resume is really outstanding. It is four pages less than my original one but somehow says so much more. I have had great feedback from recruiters and am now ready for when the right role comes along. I can highly endorse Samantha's expertise in resume writing. After our initial conversation, Sam was able to extract my major achievements then express them to their best advantage in a succinct and energetic way. My professional history is now narrated in my resume in an accurate and compelling aspect. My resume shows my skills in terms that are meaningful to employers and that highlight my best strengths. I feel extremely confident in sending my resume to prospective employers and know that I am well-represented by Samantha's excellent document. It was a pleasure to work with Samantha. Our discussions about the document's revisions and finalisation helped to make the onerous task of resume writing an easy and enjoyable process.